Of the four words that are often translated “hell,” Gehenna is the only term used in our Scriptures to describe the final fate of the wicked.1See also: OT Sheol (63x), NT Hades (11x) and Tartarus (1x). It is important to note that all men (wicked and righteous) go to Sheol and Hades upon death, but only the wicked are finally destroyed in Gehenna after the final Resurrection. It is used primarily by Jesus in the gospels, once by James and is entirely absent in the writings of Paul. The purpose of this paper is to examine the origin, history and development of Gehenna from the Old Testament (OT) to New Testament (NT), comparing the external evidence seen in the historical rabbinical ideas of Gehenna with the internal evidence seen in exclusively biblical development. The following questions will be considered: Is there any biblical or historical warrant for accepting the popular idea of Gehenna as a “garbage dump” just south of Jerusalem, into which the city garbage, and dead bodies of animals and criminals, were thrown to be incinerated? Is Gehenna primarily a geographical term giving rise to eschatology cast in spatial language, or is there development that takes us beyond the basic geographical meaning? What this paper hopes to accomplish is to give clarity to the meaning of Gehenna in its historical context, which will help us discern its overall usage throughout the NT. The Greek Gehenna is a transliteration of the Hebrew phrase Ge-hinnom which, in a handful of variations throughout the OT, functions primarily as a toponym or “place-name.”2See Josh. 15:8; 18:16; 2 Kgs. 23:10; 2 Chr. 28:3; 33:6; Neh. 11:30; Jer. 7:31,32; 19:2,6; 32:35. It is a reference to the valley just outside of Jerusalem “variously designated in the Hebrew text as the valley ‘of the sons of Hinnom (2 Kings 23:10), ‘of the son of Hinnom’ (Jer. 19:2), or simply ‘of Hinnom’ (Neh. 11:30).”3Kim Papaioannou, The Geography of Hell in the Teaching of Jesus (Eugene, OR: Pickwick, 2013), 3-4. Geographically, this “valley was located south-southwest of Jerusalem, and it adjoined the Kidron valley which lay to the south-southeast of the city.”4Ibid., 4. It was a “deep and yawning gorge that never [contained] water,” and a valley that descended “over six hundred feet from its original source.”5Edward Fudge, The Fire That Consumes: A Biblical and Historical Study of the Doctrine of Final Punishment, Third Edition (Eugene, OR: Cascade, 2011), 117. In Jerusalem today, it is known as “Wadi er-Rababi.”6Moisēs Silva, “γέεννα,” in New International Dictionary of New Testament Theology and Exegesis (NIDNTTE), eds. Moisēs Silva, vol.1 (Grand Rapids, MI: Zondervan, 2014), 548. Ge-hinnom is used a total of thirteen times in our Hebrew Bible: five times it serves “as a purely geographical term” (Josh. 15:8; 18:16; Neh. 11:30); narratively, it is used three times when describing “historical events that happened in the valley and its environs” (2 Kgs. 23:10; 2 Chr. 28:3; 33:6; Jer 32:35); and the five remaining occurrences are within the Jeremaic text as prophecies “about a war in the valley in which God will punish the apostates of Judah” (Jer. 7:31,32; 19:2,6).7Papaioannou, 4. In addition to these, there are several other OT texts in which the language and imagery of judgment in a valley are used without using the actual term Ge-hinnom (e.g. Jer. 31:40; Isa. 66:24). Aside from the plain geographical usage, each of the above categories will be examined in turn. The valley of Hinnom is “the scene of one of Israel’s most terrible lapses into pagan customs” in the history of Judah.8William I. Barclay, The New Daily Study Bible: The Gospel of Mark (Louisville, KY: Westminster John Knox Press, 2001), 268-269. During the reign of King Ahaz, fire worship was instituted, and in this valley children were burned alive in the fire as a sacrifice to the god Molech. We read in 2 Chronicles 28:3 that Ahaz “burned sacrifices in the Valley of Ben Hinnom and sacrificed his sons in the fire” (c.f. 2 Kings 16:3).9Unless otherwise noted, all biblical passages referenced are in the New International Version (Grand Rapids, MI: Zondervan Publishing House, 1984). Two generations later, Manasseh took the throne, and like his grandfather Ahaz, “he sacrificed his sons in fire, in the Valley of Ben Hinnom” (33:6; c.f. 2 Kings 21:6). Jeremiah 32:35 tells us that “they built high places for Baal in the Valley of Ben Hinnom to sacrifice their sons and daughters to Molech,” something the Lord “never commanded, nor did it enter [His] mind, that they should do such a detestable thing and so make Judah sin.” This demonic act of sacrificial slaughter “filled Jerusalem from end to end” with the blood of innocent children, and provoked the Lord to such anger that he said, “I am going to bring such disaster on Jerusalem and Judah that the ears of everyone who hears of it will tingle” (2 Kings 21:12, 16). That this Ge-hinnom valley was chosen as the location for such abominable practices is not hard to imagine. According to Lloyd Bailey, “an altar [or pillar], in the ancient Semitic world served to connect the realm of the worshipper with that of the deity.”10Lloyd R. Bailey, “Gehenna: The Topography of Hell,” Biblical Archeologist 49 (September, 1986): 189-190. We see examples of this elsewhere with the story of Jacob and his heavenly dream at Bethel. When Jacob awoke from his dream, he set up a pillar in the place where he lay and proclaimed that “this is the gate to heaven” (Gen. 28:17). “Underworld deities, on the other hand, could be contacted most efficiently through altars in low places: ravines, crevices, or caves.”11Ibid., 190. In fact, Bailey goes on to say that within these Semitic cultures, these “altars were sometimes supplied with pipes so that the sacrificial blood could be channeled to the underworld deities who were thought to dwell just beneath them.”12Ibid. This is perhaps why we read in places such as Isaiah 57:5-7 condemnations of “those who sacrificed in valleys and who poured out liquid offerings there to an underworld deity.”13Ibid. Manasseh’s grandson Josiah later took the throne, and we read of his sweeping reforms in 2 Kings 23:1-25. He led the nation in her reformation, and “desecrated Topheth, which was in the Valley of Ben Hinnom, so no one could use it to sacrifice his son or daughter in the fire to Molech” (v.10). Topheth is the “place of fire” or “fire altar” within the Valley of Ge-hinnom where the child sacrifices took place.14Papaioannou, 5n8. Kim Papaioannou further suggests that “Topheth (תֹּ֫פֶת) etymologically probably means ‘hearth,’ ‘fireplace’ or fire altar.’” See Jeremiah 7:31. Josiah’s servants also took all the articles made for Ba‘al-worship and “burned them outside of Jerusalem in the fields of the Kidron Valley” (v.4) which was adjacent to the Valley of Hinnom.15Ibid., 5. By way of desecration, he took human bones and scattered them in the places used for pagan worship (vv.13-14). Papaioannou points out that the “corpses and the bones of the dead were considered unclean, and this act signified the defilement of the sites so that they would not be used again for any kind of idolatrous worship.”16Ibid., 5-6. The author of 2 Chronicles records the same events but adds that Josiah took the bones of the dead pagan priests and burned them “on their altars, and so he purged Judah and Jerusalem” of their sin (34:1-7). An act of desecration was also an act of purification. So radical was Josiah’s reformation that it moved the heart of God. “Neither before nor after Josiah was there a king like him who turned to the Lord as he did – with all his heart and with all his soul and with all his strength” (2 Kgs. 23:25). But nevertheless, the Lord said that because the great sins of Ahaz and Manasseh “provoked [him] to anger by all that their hands have made, [his] anger will be poured out on [Judah] and will not be quenched” (2 Chr. 34:25). As an act of mercy, however, the Lord promised Josiah that he would not witness the disaster that would befall Judah (2 Kgs. 22:20; 2 Chr. 34:28). Aside from the history already surveyed, the term Ge-hinnom shows up in Jeremiah where it is portrayed as a place where the apostate Jews will be completely destroyed by God. The first instance is in Jeremiah 7:29-34 where the Lord tells the prophet of his anger that burns against Judah. He is provoked to anger because “the people of Judah…have built the high places of Topheth in the Valley of Ben Hinnom to burn their sons and daughters in the fire” (7:30-31). Then in language of terror and dread, Jeremiah prophesies the destruction to come: “The days are coming…when the people will no longer call it Topheth or the Valley of Ben Hinnom, but the Valley of Slaughter, for they will bury the dead in Topheth until there is no more room” (7:32). Their corpses will be left to rot, and “will become food for the birds of the air and the beasts of the earth” (7:33).17Denny Burk, “Eternal Conscious Torment,” in Four Views on Hell, 2nd Edition, ed. Preston Sprinkle (Grand Rapids, MI: Zondervan, 2016), 22-23. The intense language of slaughter and of exposed dead give us the imagery of a bloody “battle scene…and one of utmost desolation.”18Papaioannou, 7. This language of Ge-hinnom is picked up again in Jeremiah 19:1-15, and we see a starkly similar picture as we saw in 7:29-34, except with a few additional details. Jeremiah goes out to the Ge-hinnom valley and prophesies directly towards the “kings of Judah and the people of Jerusalem” (19:3a). Interestingly, he seems to employ language similar to the words in 2 Kings 21:12, where the Lord says, “I am going to bring such disaster on this place that will make the ears of everyone who hears of it tingle” (Jer. 19:3b). Again, the prophecy says that the valley will be called the “Valley of Slaughter” (19:6), “where those Israelites who offered their children as sacrifice to false deities will themselves be slaughtered.”19W. R. Domeris, “הֶ֫רֶג” in New International Dictionary of Old Testament Theology and Exegesis (NIDOTTE), eds. William A. VanGemeren, vol.1 (Grand Rapids, MI: Zondervan, 1997), 1056. There won’t be enough room to bury the dead, and the unburied will be left as food for the birds and wild animals (19:7). What Jeremiah says different here is that the people will “fall by the sword before their enemies,” which introduces explicit warfare imagery. Additionally, he says the people will turn on each other in cannibalistic fashion “during the stress of the siege imposed on them” (19:9). By using a visual illustration, as many prophets did to enhance their prophecy, Jeremiah breaks a clay jar in front of the people and says, “This is what the Lord Almighty says: I will smash this nation and this city just as this potter’s jar is smashed and cannot be repaired” (19:11). Not only is this a desolation of the people of Judah, but of the entire city of Jerusalem (19:12-13). So great is the destruction that will befall the nation that it will be irreparable. Our third instance, though absent of the term Ge-hinnom, is an unmistakable allusion to the same valley. In Jeremiah 31:40, the prophet refers to the “valley of the dead bodies and the ashes” located near the Kidron Valley, which is right next to the Valley of Ben Hinnom. This Jeremaic reference is different from the prophecies in chapters 7 and 19, for the context here is one of salvation and redemption (31:23-40). It looks ahead to post-exilic times when the Lord brings his people back out of captivity with a “New Covenant,” and they will rebuild the city of Jerusalem. This is when the “valley of the dead bodies and the ashes” will become “holy to the Lord” (31:40). We know from history recorded outside of Scripture and in 2 Kings 25 and 2 Chronicles 36:15-23 that shortly after Josiah’s death, “Jerusalem fell to the Babylonians and the people of Judah were taken into exile.”20Papaioanno, 8. Jeremiah the prophet is believed to have been “a younger contemporary of Josiah.”21Ibid. In fact, it is likely that he would have been involved in Josiah’s sweeping reforms as a young prophet. Based on what we know from Jeremiah 1:1-8, “the prophet received his prophetic call during Josiah’s thirteenth year, just as the latter had commenced his reform program [2 Chr. 34:3]. Jeremiah was quite young at the time of his call, which could mean that Josiah’s desecrations of Ge-hinnom would have been deeply impressed upon the young prophet.”22Ibid., 8n22. In light of this background, it is quite likely that the grotesque imagery of a valley filled with dead bodies in Jeremiah 7:29-34 and 19:1-15 would have had a deep impact on the people of Judah. The people had just recently been a part of Josiah’s radical reformation, and saw the valley desecrated with the bones of the dead. It is not hard to imagine why Jeremiah calls it “the valley of dead bodies” (31:40). His prophecy would have carried much force in the minds of the people, for it was a call to repentance or else they and the entire populace of Jerusalem “will become as deserted, desecrated and abominable as the valley of Hinnom after the reforms of Josiah” – a valley of slaughter.23Papaioannou, 9. Historically, it seems clear that Jeremiah prophesied the brutal destruction of Jerusalem by the Babylonians, and this was fulfilled somewhat off-screen from the text. There seems, however, to be elements within Jeremiah’s prophecy that point to “a greater and more complete destruction brought about God himself…that goes beyond anything the Babylonians did.”24Ibid. There will be no room to bury the dead, “the land will become desolate,” and the “sounds of joy and gladness” and the “voices of the bride and bridegroom” will cease (Jer. 7:34). Coupled with the repeated use of the phrase, “the days are coming” (7:32; 19:6; 31:27,31,38), and with the redemptive tone in Jeremiah 31:27-40, these elements may “suggest an eschatological event in the making.”25Ibid. To be sure, the emphasis is immediate fulfillment in the eyes of Jeremiah, but a future fulfillment may be implied, even if it cannot be proven with certainty. By far the clearest allusion to the Valley of Ge-hinnom outside of Jeremiah is Isaiah 66:24, which happens to be the Ge-hinnom text most alluded to in the teachings of Jesus in the gospels. Contextually, Isaiah 66:1-24 is describing an eschatological battle scene outside of Jerusalem.26Daniel I. Block, “The Old Testament on Hell,” in Hell under Fire: Modern Scholarship Reinvents Eternal Punishment, eds. Christopher W. Morgan & Robert A. Peterson (Grand Rapids, MI: Zondervan, 2004), 60-61. The Lord protects the righteous within the city while utterly slaying the wicked who rebel against Him, by divine fire and sword. Then Isaiah says that the righteous “will go out and look upon the dead bodies” of the wicked, lying just outside of Jerusalem, where “their worm does not die” and the “fire is not quenched” (Isa. 66:24 – emphasis mine). The image is of “a pile of corpses, victims in battle, ignominiously dumped in a heap and torched.”27Block, 60-61. The Ge-hinnom Valley is not mentioned in this text, but the imagery has unmistakably strong ties with Jeremiah: a great battle resulting in massive loss of life, where the dead are left unburied and left to the irresistible consumption by scavengers. Yet, another connection can be made to the “Valley of Slaughter” in Jeremiah from Isaiah 30:25 where it speaks of “the salvation of Israel and the destruction of her enemies on the Day of the Lord – ‘the day of great slaughter.’”28Domeris, 1056. There are other allusions to destruction in a valley within OT texts such as Isaiah 30:33, Ezekiel 39:11-16 and Joel 3:1-21, but in each of these cases (as we saw with Isaiah 66:24), they do not mention Ge-hinnom by name. “This can only mean that the word Ge-hinnom had not yet developed into a byword for the punishment that God would inflict on the wicked in the eschatological future.”29Papaioannou, 12. It seems to be the case, then, that Ge-hinnom in the OT was a term only used in pre-exilic texts. Subsequent to Jeremiah, we do not hear of Ge-hinnom again in the rest of the OT. Interestingly, the Septuagint “does not have Gehenna and Josephus mentions neither the term nor the matter.”30Joachim Jeremias, “γέεννα,” in Theological Dictionary of the New Testament (TDNT), eds. Gerhard Kittel, Gerhard Friedrich, and Geoffrey W. Bromiley, vol.­1 (Grand Rapids, MI: Eerdmans, 1964), 657-658. Within the Second Temple literature leading up to the time of Christ, it is questionable that Gehenna was ever used as a toponym for final punishment. Papaioannou suggests that the relevant mentions of Gehenna in the Apocrypha and Pseudepigrapha are found in the later writings of 4 Ezra, 2 Baruch, Apocalypse of Abraham, and the Sibylline Oracles. All of these, he says, “are dated after AD 70, toward the end of the [first] century or even later.”31Papaioannou, 19. The same can be said of the Mishnah and Babylonian Talmud, which are compilations of material written by rabbis from as early as the first century BC until the sixth century AD. In these writings, “the word Gehenna appears well over fifty times,” with a few rabbis being the earliest attributions in the later part of the first century AD.32Ibid., 21. Kim lists the Rabbi’s as: Akiba ben Joseph, Johanan ben Zakkai, and the School of Shammai. But in most cases, “they are attributed to Rabbis of the third and fourth centuries.”33Ibid. For an excellent survey of later Jewish writings and their influence on the doctrine of final punishment, see Glenn Peoples, “Worms and Fire: The Rabbis or Isaiah?” in Rethinking Hell: Exploring Evangelical Conditionalism. August 17, 2012. Accessed December 4, 2017. http://www.rethinkinghell.com/2012/08/worms-and-fire-the-rabbis-or-isaiah/. See also, David Instone-Brewer, “Eternal Punishment in First-Century Jewish Thought,” in A Consuming Passion: Essays on Hell and Immortality in Honor of Edward Fudge, eds. Christopher M. Date and Ron Highfield. Eugene, OR: Pickwick, 2015. There exists a large gap between the Ge-hinnom of Jeremaic origin and the Gehenna of the later first century AD. Ge-hinnom, according to Jeremiah, was a valley where the wicked were slaughtered in battle and the dead bodies were left unburied. According to later Jewish writings, Gehenna became an eschatological term referring to an other–worldly place, where “the wicked, sometimes in their bodies, sometimes only as disembodied souls, are sometimes annihilated, but often anguish in fire forever without end.”34Ibid., 22. In other words, Jeremiah seems to envision annihilation in Gehenna as the fate of the wicked, whereas later Jewish writings show evidence for prolonged or even eternal torment as the punishment in Gehenna. It is difficult to reconcile or harmonize these ideas when there is such a large historical gap with no evidence showing “a coherent, gradual development of the theme beginning with Jeremiah and continuing down the centuries.”35Papaioannou, 21. Kim goes on to say, “It simply does not make sense to assume that the tradition developed from the simple battle-language of the Hebrew Scriptures to the otherworldly hell of bodies and/or, more often, souls of the ‘Apocrypha’ and ‘Pseudepigrapha,’ all at once” (p.22). This is not to dismiss the fact that there were some texts in the intertestamental period, albeit few and in embryonic form, that warn of eternal torment. But they were not in connection with the geographical Gehenna. Rather, they appear to have sprung forth from non-Jewish philosophy. Based on the evidence that we have, it seems likely that Jesus, in his teaching on Gehenna, continues the Gehenna motif of Jeremiah.36Papaioannou suggests that “the first to revive Ge-hinnom out of its resting place was Jesus who used the term extensively in his preaching”(25). It is here that we must turn to Jesus and the NT. Throughout the NT, Gehenna is mentioned a total of twelve times, eleven from the lips of Jesus. “Twice he addresses the Pharisees. All else that Jesus says about hell is directed to his own disciples.”37Fudge, The Fire that Consumes, 286. Within the gospels, Matthew generously refers to it a total of eight times, Mark uses it three times all in the span of five verses in chapter nine, and Luke uses it only once.38See Matt. 5:22, 29, 30; 10:28; 18:9; 23:15, 33; Mark 9:43, 45, 47; Luke 12:5. The only other occurrence of Gehenna is in James 3:6. The unified understanding of Gehenna in the NT is that it is the location where the wicked are punished after the final resurrection. Time and space do not permit a detailed exegesis of each of these Gehenna texts, but several general observations are in order. Among the Gehenna references in the Gospels, it is important to recognize that there is a unique emphasis on the body. In Matthew 5:22, Jesus draws on the OT context of a murderer receiving a death sentence in court when he speaks of the wicked being “in danger of the fire of Gehenna.” Continuing on, the even more explicit language in Matthew 5:29-30, 18:9, and Mark 9:43-48 speaks of mutilated body parts with Gehenna as the context. For example, Mark 9:43 says, “If your hand causes you to sin, cut it off. It is better for you to enter life maimed than with two hands to go into Gehenna.” Jesus repeats this phrase twice when he speaks similarly of feet and eyes (vv.45-46). As a parallel between a partial loss and a total loss, Jesus seems to be pointing out that to enter life mutilated is better than being a dead corpse thrown into Gehenna.39My thanks to William Tanksley, Chris Date, Darryl Klassen and Peter Grice for comments on my original draft of this article, which has helped clarify my thinking on how to articulate what some might refer to as a “escalating parallel.” What is more, almost akin to spiritual gangrene, if action is not taken to get rid of sin, it will eventually consume and kill the whole body.40See Matthew 5:27-30. While Mark emphasizes the “cutting off the hand” (9:43), with no further explanation, Matthew goes further by saying, “…and throw it away” (5:29,30). Thus, it seems a comparison is drawn between the severed limb and the lifeless body in Gehenna. A corpse thrown into Gehenna is reminiscent of the dead bodies in Jeremiah’s Valley of Slaughter and Isaiah’s scene of massacre. Here we notice that Jesus, a Jewish rabbi immersed in the Hebrew Scriptures (OT), quotes directly from Isaiah 66:24 and by inserting Gehenna in his quotation, he brings the imagery of Jeremiah’s Valley of Slaughter (Jer. 7:29-34; 19:1-14) into focus. It is not hard to see how the images complement each other. All of these “depict [gruesome] battle scenes that result in a devastation of mutilated and dead bodies.”41Papaioannou, 22. Additionally, Isaiah’s imagery of the unquenchable fire and undying worm points to the completeness and finality of destruction. By using Scripture to interpret Scripture, it can be pointed out that an unquenchable fire “does not mean ever-burning, but irresistible. Because it cannot be thwarted in its intended purpose, or stopped short of accomplishing its goal, ‘unquenchable’ fire (‘irresistible fire’) fully consumes (Ezek. 20:47-48), reduces to nothing (Amos 5:5-6) or burns up what is put into it (Matt. 3:12).”42Fudge, The Fire that Consumes, 77. Similarly, the worms (or maggots) chewing on the flesh of the dead bodies “do not die, at least not until they finish their consumptive task.”43Fudge, 76. Luke 12:4-5 continues this focus on the body when Jesus suggests that “what is thrown in Gehenna [are] the corpses of those whom God has killed [which] remind us of the motif in Isaiah 66:24.”44Papaioannou, 23. Luke’s parallel is Matthew 10:28, which has its difficulties in translation. There the distinction is drawn between the “body” (sōma) and the psuchē which is most often translated as “soul.” Given Matthew’s Hebraic background, and the fact that Luke avoids this distinction all together, it is doubtful that Matthew is creating a dichotomy between two separate anthropological entities, that is, the body and the soul. In most cases, psuchē is best understood as “life.” It is likely that Jesus’ emphasis is that God is sovereign “over life and death. Men can kill you, but it is God, the one in whom we hope, who can end you forever, not just killing the body temporarily as men can, but ultimately ending your life.”45Glenn Peoples, “Matthew 10:28 and dualism: Is the soul Immortal?” in Afterlife. July 14, 2013. Accessed December 6, 2017. http://www.afterlife.co.nz/2013/theology/body-and_soul/matthew-1028-and-dualism-is-the-soul-immortal/. In addition to the emphasis on the body in the gospels is the “geographical dimension in the development of the Gehenna motif.”46Papaioannou, 23. Within the synoptic gospels, Matthew uses Gehenna most generously, which is unsurprising given the fact that his synoptic is “recognized as the most Palestinian of the Gospels.”47Ibid. Even though James mentions Gehenna only once, it is well recognized that his audience was Jewish. 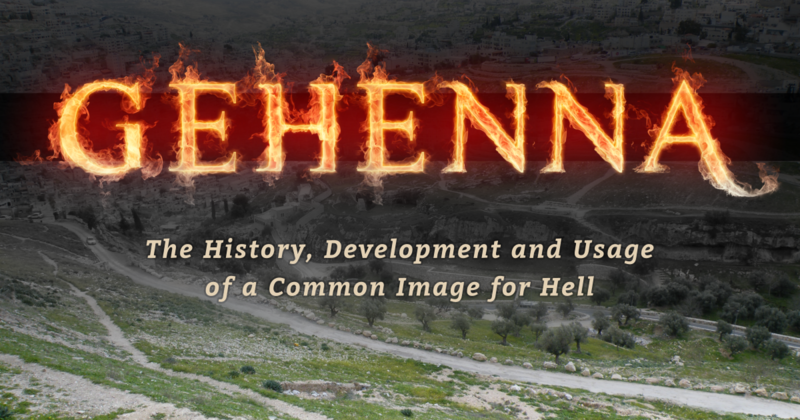 Not only is Gehenna a geographical term (aka: “the Valley of Hinnom”), it is a thoroughly Jewish term, one that Jews in Jesus’ day would have understood as part of their history. Mark and Luke use the term sparingly, which is explained by their majority Gentile audience. James, like Matthew, was addressing a primarily Jewish readership. When we look beyond the gospels and James, we do not find a reference to the geographical Gehenna in any of the other NT books. Understandably, to a Gentile who was unfamiliar with the geography and history of Jerusalem, the teachings of Jesus and the Hebrew Scriptures, the term Gehenna would have made very little sense.48Papaioannou, 23. This explains the complete absence of Gehenna in the writings of Paul. He does not speak of the fate of the wicked in geographical language akin to Jesus or the other apostles. It would not have made sense for him to do so, since he was writing to a mixed audience in Asia Minor who would not have understood such geography.49In an email conversation, Richard Middleton pointed out to me that “different contexts (and conceptual training, etc.) lead different people to use different ideas/images, etc. to communicate the same basic idea.” Instead of geography, Paul uses language of teleology. In other words, Paul is interested in the decisive or punctiliar act of destruction as the end (telos) of the wicked. For example, in his letter to the Philippians, Paul encourages believers that the persecution they are experiencing is a “sign to them of [the persecutors’] destruction,” but for the believer it is a sign of salvation (Phil. 1:28). Later he says that those who live as “enemies of the cross” will find “their end (telos) is destruction” (Phil. 3:18-19). In contrast to the “vessels of mercy,” Paul talks about “vessels of wrath prepared for destruction” (Rom. 9:22-24). In 2 Thessalonians 1:8-9, he describes what will happen on the Day of the Lord when the wicked will be punished “with eternal destruction from the presence of the Lord.”50See http://www.rethinkinghell.com/2016/11/annihilation-in-2-thessalonians-19-part-1-destroyed-by-the-glory-of-his-manifest-presence; and http://www.rethinkinghell.com/2016/12/annihilation-in-2-thess-1-9-part-2-separation-or-obliteration/. See also Charles L. Quarles, “The ἀπό of 2 Thess. 1:9 and the Nature of Eternal Punishment,” WTJ 59 , 201-211. Paul warns the person “desiring to be rich” that greed “plunges people into ruin and destruction” (1 Tim. 6:9), and he warns that “the one who sows according to the flesh will reap destruction” (Gal. 6:8).51Nicholas Rudolph Quient, “Paul and the Annihilation of Death,” in A Consuming Passion: Essays on Hell and Immortality in Honor of Edward Fudge, eds. Christopher M. Date and Ron Highfield (Eugene, OR: Pickwick, 2015), 99. Other examples could be explored, but as already mentioned, Paul repeatedly uses non-geographical language whenever he speaks of the fate of the wicked.52For an excellent study on Paul’s language of destruction as dependent upon the LXX, see Nicholas Rudolph Quient, “Destruction from the Presence of the Lord: Paul’s Intertextual Use of the LXX in 2 Thess. 1:9” (paper presented at the Rethinking Hell Conference in London, UK, 7-8, October 2016), 1-24. See also, Daniel G. Reid, “2 Thessalonians 1:9: ‘Separated from’ or ‘Destruction from’ the Presence of the Lord?” (a paper presented at the ETS Pauline Studies Group, in Colorado Springs, CO, 16, November 2001), 1-18. Gehenna as a Garbage Dump? Chief among the modern ideas surrounding Gehenna is that of a smouldering garbage dump south of Jerusalem where perpetual fires consumed the city waste and the dead bodies of criminals thrown into it. Many prominent scholars appeal to this idea, and often without evidence or explanation.55Some examples: N. T. Wright, Matthew For Everyone: Part 1 (Louisville, KY: Westminster John Knox Press, 2004), 211-12 (see also his commentaries: Part 2 of Matthew; Mark; Luke; 1st and 2nd Corinthians; The Early Christian Letters; and Revelation); Robert A. Morey, Death and the Afterlife (Minneapolis, MN: Bethany House, 1984), 87–88. The most common route by which this idea is adopted is from the suggestion that during Josiah’s sweeping reformation when he declared the valley unclean, it “was subsequently set apart as a place where refuse was discarded and burnt.”56Larry Dixon, The Other Side of the Good News: Confronting The Contemporary Challenges To Jesus’ Teaching On Hell (Wheaton, IL: Victor Books, 1992), 122-123. See also, William V. Crockett, “The Metaphorical View,” in Four Views on Hell, ed. William Crockett (Grand Rapids, MI: Zondervan Publishing House, 1996), 58. William Barclay suggests that, consequently, “it was a foul, unclean place where loathsome worms bred on the refuse, and which smoked and smouldered at all times like some vast incinerator.”57Barclay, 268-269. Supposedly, this usage of the valley continued into Jesus’ day where the “sight and smell of the place” would have been familiar to the contemporary Jew.58Block, 60-61. John Stackhouse, while questioning this garbage dump motif, says that “given Jesus’ description of Gehenna as a place of removal, burning, and maggots, a garbage dump readily came to mind (i.e. Mark 9:43-49).59John Stackhouse, “Terminal Punishment,” in Four Views on Hell, 2nd Edition, ed. Preston Sprinkle (Grand Rapids, MI: Zondervan, 2016), 63. Other scholars who express hesitance with the garbage dump motif are: R. T. France, “The Gospel of Matthew, NICNT (Grand Rapids, MI: Wm. B. Eerdmans, 2007), 202; Robert W. Yarbrough, “Jesus on Hell,” in Hell under Fire: Modern Scholarship Reinvents Eternal Punishment, eds. Christopher W. Morgan & Robert A. Peterson (Grand Rapids, MI: Zondervan, 2004), 79; Christopher W. Morgan, “Biblical Theology: Three Pictures of Hell,” in Hell under Fire: Modern Scholarship Reinvents Eternal Punishment, eds. Christopher W. Morgan & Robert A. Peterson (Grand Rapids, MI: Zondervan, 2004), 146n17; and Denny Burk, “Eternal Conscious Torment,” in Four Views on Hell, 2nd Edition, ed. Preston Sprinkle (Grand Rapids, MI: Zondervan, 2016), 22-23. However, the whole idea of Gehenna as a municipal garbage dump is based on very thin evidence. Among the scholars who question this theory, Francis Chan and Preston Sprinkle are quite helpful in pointing out that “just because Jesus’ description of hell may have been inspired by the image of a burning garbage dump (if it was), doesn’t mean that He is referring to the actual garbage dump when he uses the word Gehenna.”60Francis Chan and Preston M. Sprinkle, Erasing Hell: What God Said about Eternity and the Things We Made Up (Colorado Springs, CO: David C Cook, 2011), 59. To suggest that Jesus is referring to an actual garbage dump in geographic terms is to misunderstand the way language works. Chan and Sprinkle illustrate this misunderstanding:61Ibid., 59. I’ve often heard people refer to a gridlocked freeway as a parking lot. The statement is inspired by a literal parking lot, but nobody is claiming that people drive to the freeway, stop, lock their cars, and then go about their business. That’s just the way imagery works. Within linguistic studies, D. A. Carson refers to this as confusing the “referent with the sense.”62D. A. Carson, Exegetical Fallacies, 2nd ed. (Grand Rapids, MI: Baker, 1996), 63-64. Papaioannou helpfully points out that the garbage dump motif is in awkward tension with Luke 12:4-5 which draws a contrast between “humans who can kill and then do nothing more [and] God who can kill and then cast into Gehenna. If indeed there was a fire burning in the literal valley of Ge-hinnom, the contrast loses its power – not only God, but humans can also cast into Gehenna.”63Papaioannou, 6n13. Even when we set aside the functionality of languages, G. R. Beasley-Murray says, “The notion…that the city’s rubbish was burned in this valley, has no further basis than a statement by the Jewish scholar [David] Kimhi (sic) made about A.D. 1200; it is not attested in any ancient source.”64G. R. Beasley-Murray, Jesus and the Kingdom of God (Grand Rapids, MI: William B. Eerdmans Publishing Company, 1986), 376-77n.92. David Kimhi, a medieval rabbi, wrote in his commentary on Psalm 27: “Gehenna is a repugnant place, into which filth and cadavers are thrown, and in which fires perpetually burn in order to consume the filth and bones, on which account, by analogy, the judgment of the wicked is called ‘Gehenna.’”65As cited in Bailey, “Gehenna: The Topography of Hell,” 188. Somewhat ironic is the earliest source of this garbage dump allusion when we notice that Kimhi (who was writing from Europe, and not Israel) himself only saw it as an “analogy” for “the judgment of the wicked.”66Chan and Sprinkle, 60, italics mine. Peter Head is even more terse when he says that, within the primary sources and ancient texts, the evidence for the existence of Gehenna as a “fiery rubbish dump in this location” is nonexistent, but “in any case, a thorough investigation would be appreciated.”67Peter M. Head, “The Duration of Divine Judgment in the New Testament,” in Eschatology in Bible & Theology: Evangelical Essays at the Dawn of a New Millennium, eds. Kent E. Brower and Mark W. Elliott (Downers Drove, IL: Inter-Varsity Press, 1997), 223. Furthermore, as an archeologist, Bailey points out that there is no evidence for Gehenna as a garbage dump in the “archeological data from the intertestamental or rabbinic periods.”68Bailey, 189. See also, “The Myth of the Burning Garbage Dump of Gehenna,” BiblePlaces.com blog: News and analysis related to biblical geography, history and archeology. April 7, 2011. Accessed November 25, 2017. http://blog.bibleplaces.com/2011/04/myth-of-burning-garbage-dump-of-gehenna.html. If Gehenna was a fiery garbage dump just south of Jerusalem, we would “be able to dig around and find evidence.”69Chan and Sprinkle, 59. But there is none. Gehenna did not become “infamous as a flaming heap of garbage,” rather, it is an explicit reference to the Jeremaic Valley of Slaughter where God severely judged the nation of Judah.70Burk, 22-23. How is it that the majority of the Christian churches have bought into an idea of Gehenna that has no evidence earlier than 1200 AD, hundreds and hundreds of years after Jesus’ earthly ministry? The toponym Gehenna has an unavoidable relationship to the Ge-hinnom of Jeremiah where the apostate Jews were utterly slaughtered and left unburied and exposed to the elements and scavengers. Beyond Jeremiah’s usage of Ge-hinnom, it does not appear anywhere else in the OT until Jesus incorporates it into his teaching of the fate of the wicked. Jesus seems to continue the Gehenna motif of Jeremiah by focusing on the body and bringing in the imagery of Isaiah 66:24, thereby giving a stark image of appalling destruction where the wicked are completely destroyed. The questions that need to be wrestled with are: How does the geographic Gehenna of Jesus point us to the eschatological fate of the wicked? Does Jesus continue the geographic language as though the location of final destruction were important? To be sure, the Jewish hearer would have understood Jesus in a straight forward manner and knew the valley of which Jesus was speaking of. But what is helpful to note is that Gehenna can be considered a partial vision, a type, of the fuller judgment anticipated for the whole world, and indeed the entire cosmos. In other words, what is true of the Jewish Gehenna in its geographical sense is true of the cosmos when God finally comes to destroy all evil. Locality is always part of a punctiliar act of destruction, but what is the focus of Jesus and Paul, and the other NT writers? It seems to be the case, given their particular contexts and environs from which they wrote, stress is placed on the act rather than the locationof destruction. Thus, Hell is not merely a place one goes to, but most importantly, it is the act of being completely destroyed by God when the offer of life is forever removed from their reach. Bailey, Lloyd R. “Gehenna: The Topography of Hell,” Biblical Archeologist 49 : 189. (p.328n.17). 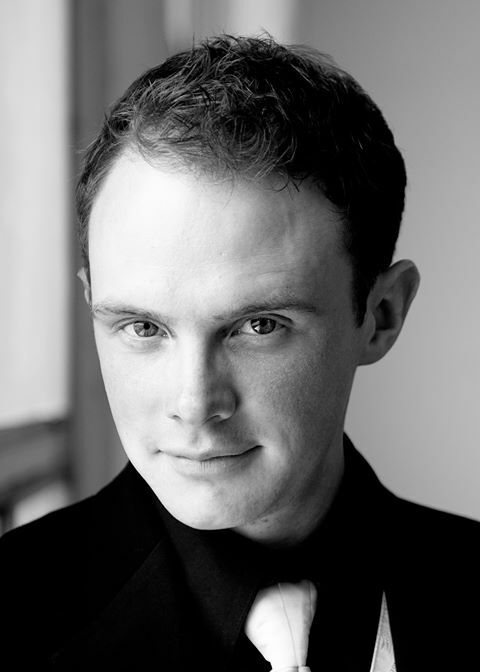 Barclay, William I. The Gospel of Mark. The New Daily Study Bible. Louisville, KY: Westminster John Knox Press, 2001 [orig. ed. 1969]. Beasley-Murray, G. R. Jesus and the Kingdom of God. Grand Rapids, MI: William B. Eerdmans Publishing Company, 1986. Block, Daniel I. “The Old Testament on Hell,” Hell under Fire: Modern Scholarship Reinvents Eternal Punishment, eds. Christopher W. Morgan & Robert A. Peterson. Grand Rapids, MI: Zondervan, 2004. Bolen, Todd. “The Myth of the Burning Garbage Dump of Gehenna,” BiblePlaces.com blog: News and analysis related to biblical geography, history and archeology. April 7, 2011. Accessed November 25, 2017. http://blog.bibleplaces.com/2011/04/myth-of-burning-garbage-dump-of-gehenna.html. Burk, Denny. “Eternal Conscious Torment,” in Four Views on Hell, 2nd Edition, ed. Preston Sprinkle. Grand Rapids, MI: Zondervan, 2016. Carson, D. A. Exegetical Fallacies, 2nd ed. (Grand Rapids, MI: Baker, 1996), 63-64. Chan, Francis & Preston M. Sprinkle, Erasing Hell: What God Said about Eternity and the Things We Made Up. Colorado Springs, CO: David C Cook, 2011. Crockett, William V. “The Metaphorical View,” in Four Views on Hell, ed. William Crockett. Grand Rapids, MI: Zondervan Publishing House, 1996. Demler, Ronnie & William Tanksley Jr. “Annihilation in 2 Thessalonians 1:9 (Part 2): Separation or Obliteration? – The Present Controversy” in Rethinking Hell. December 5, 2016. Accessed December 1, 2017. http://www.rethinkinghell.com/2016/12/annihilation-in-2-thess-1-9-part-2-separation-or-obliteration/. Dixon, Larry. The Other Side of the Good News: Confronting The Contemporary Challenges To Jesus’ Teaching On Hell. Wheaton, IL: Victor Books, 1992. Domeris, W. R. “הֶ֫רֶג” in New International Dictionary of Old Testament Theology and Exegesis (NIDOTTE), ed. William A. VanGemeren, vol.1 Grand Rapids, MI: Zondervan, 1997. France, Richard T. The Gospel of Matthew, NICNT. Grand Rapids, MI: Wm.B.Eerdmans, 2007. Fudge, Edward W. The Fire That Consumes: A Biblical and Historical Study of the Doctrine of Final Punishment, Third Edition. Eugene, OR: Cascade, 2011. Grice, Peter. “Annihilation in 2 Thessalonians 1:9 (Part 1): Destroyed by the Glory of His Manifest Presence” in Rethinking Hell. November 14, 2016. Accessed December 1, 2017. http://www.rethinkinghell.com/2016/11/annihilation-in-2-thessalonians-19-part-1-destroyed-by-the-glory-of-his-manifest-presence. Head, Peter M. “The Duration of Divine Judgment in the New Testament,” in Eschatology in Bible & Theology: Evangelical Essays at the Dawn of a New Millennium, eds. K. E. Brower and Mark W. Elliott. Downers Drove, IL: Inter-Varsity Press, 1997. Instone-Brewer, David. “Eternal Punishment in First-Century Jewish Thought,” in A Consuming Passion: Essays on Hell and Immortality in Honor of Edward Fudge, eds. Christopher M. Date and Ron Highfield. Eugene, OR: Pickwick, 2015. Jeremias, Joachim. “γέεννα,” in Theological Dictionary of the New Testament, ed. Gerhard Kittel, Gerhard Friedrich, and Geoffrey W. Bromiley, vol.1. Grand Rapids, MI: Eerdmans, 1964. (657-58). Morey, Robert A. Death and the Afterlife. Minneapolis, MN: Bethany House, 1984. Morgan, Christopher W. “Biblical Theology: Three Pictures of Hell,” in Hell under Fire: Modern Scholarship Reinvents Eternal Punishment, eds. Christopher W. Morgan & Robert A. Peterson. Grand Rapids, MI: Zondervan, 2004. Papaioannou, Kim. The Geography of Hell in the Teaching of Jesus. Eugene, OR: Pickwick, 2013. Peoples, Glenn. “Matthew 10:28 and dualism: Is the soul Immortal?” in Afterlife. July 14, 2013. Accessed December 6, 2017. http://www.afterlife.co.nz/2013/theology/body-and_soul/matthew-1028-and-dualism-is-the-soul-immortal/. ———. “Worms and Fire: The Rabbis or Isaiah?” in Rethinking Hell: Exploring Evangelical Conditionalism. August 17, 2012. Accessed December 4, 2017. http://www.rethinkinghell.com/2012/08/worms-and-fire-the-rabbis-or-isaiah/. Quarles, Charles, L. “The APO of 2 Thess. 1:9 and the Nature of Eternal Punishment,” WTJ 59 , 201-211. Quient, Nicholas, R. “Destruction from the Presence of the Lord: Paul’s Intertextual Use of the LXX in 2 Thess. 1:9,” (paper presented at the Rethinking Hell Conference in London, UK, 7-8, October 2016), 1-24. ———. “Paul and the Annihilation of Death,” in A Consuming Passion: Essays on Hell and Immortality in Honor of Edward Fudge, edited by Christopher M. Date and Ron Highfield, 90-111. Eugene, OR: Pickwick, 2015. Reid, Daniel G. “2 Thessalonians 1:9: ‘Separated from’ or ‘Destruction from’ the Presence of the Lord?” (a paper presented at the ETS Pauline Studies Group, in Colorado Springs, CO, 16, November 2001), 1-18. Silva, Moisēs (ed). New International Dictionary of New Testament Theology and Exegesis, vol. 1-5. Grand Rapids, MI: Zondervan, 2014. Wright, N. T. Matthew For Everyone: Part 1. Louisville, KY: Westminster John Knox Press, 2004. Yarbrough, Robert W. “Jesus on Hell,” in Hell under Fire: Modern Scholarship Reinvents Eternal Punishment, eds. Christopher W. Morgan & Robert A. Peterson. Grand Rapids, MI: Zondervan, 2004. 1. ￪ See also: OT Sheol (63x), NT Hades (11x) and Tartarus (1x). It is important to note that all men (wicked and righteous) go to Sheol and Hades upon death, but only the wicked are finally destroyed in Gehenna after the final Resurrection. 2. ￪ See Josh. 15:8; 18:16; 2 Kgs. 23:10; 2 Chr. 28:3; 33:6; Neh. 11:30; Jer. 7:31,32; 19:2,6; 32:35. 3. ￪ Kim Papaioannou, The Geography of Hell in the Teaching of Jesus (Eugene, OR: Pickwick, 2013), 3-4. 5. ￪ Edward Fudge, The Fire That Consumes: A Biblical and Historical Study of the Doctrine of Final Punishment, Third Edition (Eugene, OR: Cascade, 2011), 117. 6. ￪ Moisēs Silva, “γέεννα,” in New International Dictionary of New Testament Theology and Exegesis (NIDNTTE), eds. Moisēs Silva, vol.1 (Grand Rapids, MI: Zondervan, 2014), 548. 8. ￪ William I. Barclay, The New Daily Study Bible: The Gospel of Mark (Louisville, KY: Westminster John Knox Press, 2001), 268-269. 9. ￪ Unless otherwise noted, all biblical passages referenced are in the New International Version (Grand Rapids, MI: Zondervan Publishing House, 1984). 10. ￪ Lloyd R. Bailey, “Gehenna: The Topography of Hell,” Biblical Archeologist 49 (September, 1986): 189-190. 14. ￪ Papaioannou, 5n8. Kim Papaioannou further suggests that “Topheth (תֹּ֫פֶת) etymologically probably means ‘hearth,’ ‘fireplace’ or fire altar.’” See Jeremiah 7:31. 17. ￪ Denny Burk, “Eternal Conscious Torment,” in Four Views on Hell, 2nd Edition, ed. Preston Sprinkle (Grand Rapids, MI: Zondervan, 2016), 22-23. 19. ￪ W. R. Domeris, “הֶ֫רֶג” in New International Dictionary of Old Testament Theology and Exegesis (NIDOTTE), eds. William A. VanGemeren, vol.1 (Grand Rapids, MI: Zondervan, 1997), 1056. 26. ￪ Daniel I. Block, “The Old Testament on Hell,” in Hell under Fire: Modern Scholarship Reinvents Eternal Punishment, eds. Christopher W. Morgan & Robert A. Peterson (Grand Rapids, MI: Zondervan, 2004), 60-61. 30. ￪ Joachim Jeremias, “γέεννα,” in Theological Dictionary of the New Testament (TDNT), eds. Gerhard Kittel, Gerhard Friedrich, and Geoffrey W. Bromiley, vol.­1 (Grand Rapids, MI: Eerdmans, 1964), 657-658. 32. ￪ Ibid., 21. Kim lists the Rabbi’s as: Akiba ben Joseph, Johanan ben Zakkai, and the School of Shammai. 33. ￪ Ibid. For an excellent survey of later Jewish writings and their influence on the doctrine of final punishment, see Glenn Peoples, “Worms and Fire: The Rabbis or Isaiah?” in Rethinking Hell: Exploring Evangelical Conditionalism. August 17, 2012. Accessed December 4, 2017. http://www.rethinkinghell.com/2012/08/worms-and-fire-the-rabbis-or-isaiah/. See also, David Instone-Brewer, “Eternal Punishment in First-Century Jewish Thought,” in A Consuming Passion: Essays on Hell and Immortality in Honor of Edward Fudge, eds. Christopher M. Date and Ron Highfield. Eugene, OR: Pickwick, 2015. 35. ￪ Papaioannou, 21. Kim goes on to say, “It simply does not make sense to assume that the tradition developed from the simple battle-language of the Hebrew Scriptures to the otherworldly hell of bodies and/or, more often, souls of the ‘Apocrypha’ and ‘Pseudepigrapha,’ all at once” (p.22). 36. ￪ Papaioannou suggests that “the first to revive Ge-hinnom out of its resting place was Jesus who used the term extensively in his preaching”(25). 37. ￪ Fudge, The Fire that Consumes, 286. 38. ￪ See Matt. 5:22, 29, 30; 10:28; 18:9; 23:15, 33; Mark 9:43, 45, 47; Luke 12:5. 40. ￪ See Matthew 5:27-30. While Mark emphasizes the “cutting off the hand” (9:43), with no further explanation, Matthew goes further by saying, “…and throw it away” (5:29,30). 42. ￪ Fudge, The Fire that Consumes, 77. 45. ￪ Glenn Peoples, “Matthew 10:28 and dualism: Is the soul Immortal?” in Afterlife. July 14, 2013. Accessed December 6, 2017. http://www.afterlife.co.nz/2013/theology/body-and_soul/matthew-1028-and-dualism-is-the-soul-immortal/. 47. ￪ Ibid. Even though James mentions Gehenna only once, it is well recognized that his audience was Jewish. 50. ￪ See http://www.rethinkinghell.com/2016/11/annihilation-in-2-thessalonians-19-part-1-destroyed-by-the-glory-of-his-manifest-presence; and http://www.rethinkinghell.com/2016/12/annihilation-in-2-thess-1-9-part-2-separation-or-obliteration/. See also Charles L. Quarles, “The ἀπό of 2 Thess. 1:9 and the Nature of Eternal Punishment,” WTJ 59 , 201-211. 51. ￪ Nicholas Rudolph Quient, “Paul and the Annihilation of Death,” in A Consuming Passion: Essays on Hell and Immortality in Honor of Edward Fudge, eds. Christopher M. Date and Ron Highfield (Eugene, OR: Pickwick, 2015), 99. 52. ￪ For an excellent study on Paul’s language of destruction as dependent upon the LXX, see Nicholas Rudolph Quient, “Destruction from the Presence of the Lord: Paul’s Intertextual Use of the LXX in 2 Thess. 1:9” (paper presented at the Rethinking Hell Conference in London, UK, 7-8, October 2016), 1-24. See also, Daniel G. Reid, “2 Thessalonians 1:9: ‘Separated from’ or ‘Destruction from’ the Presence of the Lord?” (a paper presented at the ETS Pauline Studies Group, in Colorado Springs, CO, 16, November 2001), 1-18. 55. ￪ Some examples: N. T. Wright, Matthew For Everyone: Part 1 (Louisville, KY: Westminster John Knox Press, 2004), 211-12 (see also his commentaries: Part 2 of Matthew; Mark; Luke; 1st and 2nd Corinthians; The Early Christian Letters; and Revelation); Robert A. Morey, Death and the Afterlife (Minneapolis, MN: Bethany House, 1984), 87–88. 56. ￪ Larry Dixon, The Other Side of the Good News: Confronting The Contemporary Challenges To Jesus’ Teaching On Hell (Wheaton, IL: Victor Books, 1992), 122-123. See also, William V. Crockett, “The Metaphorical View,” in Four Views on Hell, ed. William Crockett (Grand Rapids, MI: Zondervan Publishing House, 1996), 58. 59. ￪ John Stackhouse, “Terminal Punishment,” in Four Views on Hell, 2nd Edition, ed. Preston Sprinkle (Grand Rapids, MI: Zondervan, 2016), 63. Other scholars who express hesitance with the garbage dump motif are: R. T. France, “The Gospel of Matthew, NICNT (Grand Rapids, MI: Wm. B. Eerdmans, 2007), 202; Robert W. Yarbrough, “Jesus on Hell,” in Hell under Fire: Modern Scholarship Reinvents Eternal Punishment, eds. Christopher W. Morgan & Robert A. Peterson (Grand Rapids, MI: Zondervan, 2004), 79; Christopher W. Morgan, “Biblical Theology: Three Pictures of Hell,” in Hell under Fire: Modern Scholarship Reinvents Eternal Punishment, eds. Christopher W. Morgan & Robert A. Peterson (Grand Rapids, MI: Zondervan, 2004), 146n17; and Denny Burk, “Eternal Conscious Torment,” in Four Views on Hell, 2nd Edition, ed. Preston Sprinkle (Grand Rapids, MI: Zondervan, 2016), 22-23. 60. ￪ Francis Chan and Preston M. Sprinkle, Erasing Hell: What God Said about Eternity and the Things We Made Up (Colorado Springs, CO: David C Cook, 2011), 59. 62. ￪ D. A. Carson, Exegetical Fallacies, 2nd ed. (Grand Rapids, MI: Baker, 1996), 63-64. 64. ￪ G. R. Beasley-Murray, Jesus and the Kingdom of God (Grand Rapids, MI: William B. Eerdmans Publishing Company, 1986), 376-77n.92. 65. ￪ As cited in Bailey, “Gehenna: The Topography of Hell,” 188. 66. ￪ Chan and Sprinkle, 60, italics mine. 67. ￪ Peter M. Head, “The Duration of Divine Judgment in the New Testament,” in Eschatology in Bible & Theology: Evangelical Essays at the Dawn of a New Millennium, eds. Kent E. Brower and Mark W. Elliott (Downers Drove, IL: Inter-Varsity Press, 1997), 223. 68. ￪ Bailey, 189. See also, “The Myth of the Burning Garbage Dump of Gehenna,” BiblePlaces.com blog: News and analysis related to biblical geography, history and archeology. April 7, 2011. Accessed November 25, 2017. http://blog.bibleplaces.com/2011/04/myth-of-burning-garbage-dump-of-gehenna.html. 69. ￪ Chan and Sprinkle, 59. Chris Loewen is a preaching minister in an evangelical church in southeastern Manitoba, Canada. He is a part-time Master’s student at Providence Theological Seminary with an emphasis on Biblical Studies in New Testament. He is a passionate student of God’s word and loves to research, write and preach with the sole purpose of equipping and encouraging the Body of Christ. Other passions are football (NFL), magic/illusions, fishing and woodworking. He and his wife Diane have three children and they live in Blumenort, Manitoba.